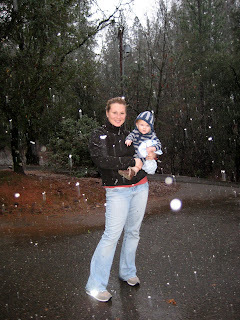 Landon and I went to visit Nana today and it was snowing! Landon loved the snow. 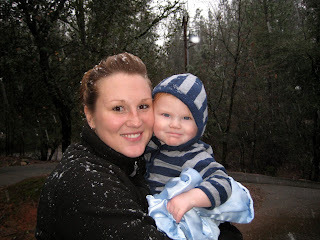 We had a great day up in Placerville with Nana, auntie Rylee, and auntie Ashlan. The snow looks way pretty! I never thought I would say that about snow, since I hate snow! 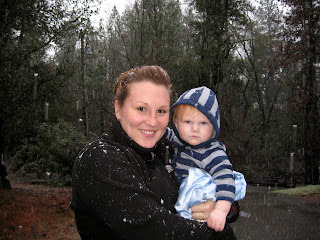 You and Landon look so cute, you are such a cute mom! How far away from you family do you guys live? ?